After the unprecedented success arising from ‘Ron Kaufman Live in Sri Lanka’ in 2017, SLIM signed an MOU with the best-selling author and coach of Apple founder Steve Jobs, John Mattone, to visit Sri Lanka for a 2-Day Workshop in June. 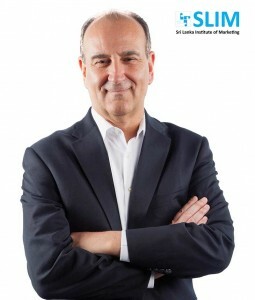 John Mattone is the world’s leading authority on Intelligent Leadership, top Executive coach and the creator of the IL Executive Coaching Process and Certification. He is one of the eight finalists for the prestigious 2017 Thinkers50 Leadership Award recognizing the world’s top leadership authority and thinker. He has been a consultant for more than 250 organizations and coached more than 200 top leading executives worldwide, earning a global reputation for possessing a special ability that unlocks and unleashes greatness in leaders at all levels. The Knowledge Forum and the CEO Breakfast Forum are scheduled to take place this year. The location of the Forums will be notified in due course. Popularly known as the ‘Father of the Digital World’, Steve Jobs was and still continues to remain one of the most inventive and energetic minds in American technology. The legendary visionary created a sensation across the globe with his personal computer revolution. Steve Jobs wasn’t just a savvy businessman; he was a visionary who made it his mission to humanize personal computing, rewriting the rules of user experience design, hardware and software design. His actions reverberated across industry lines: He shook up the music business, dragged the wireless carriers into the boxing ring, changed the way software and hardware are sold and forever altered the language of computer interfaces. Along the way, he built Apple up into one of the most valuable corporations in the world. The contribution made by John Mattone as the Executive coach to Steve Jobs was an important part of his success. Especially the pull he received by inculcating the visionary leadership and innovative culture in his organization, derived from his coach, ultimately made him an immortal name in the business world. John Mattone is a powerfully engaging, internationally-acclaimed keynote speaker and top-ranked executive coach. He is globally respected as a uniquely distinguished authority that can ignite and strengthen a leader’s inner-self and talents, enabling them to realize four ‘game-changing’ outcomes that they can leverage in their business and life, namely the 4 A’s, Altruism, Affiliation, Achievement, and Abundance, which are the seeds to achieving sustained greatness and creating a lasting legacy. John is a respected advisor and coach to CEOs who lead small to mid-sized entrepreneurial organizations as well as large global businesses, on how to create and sustain a leadership and talent culture that drives superior operating results. Recently, John’s Executive Coaching Blog was named the #1 Executive Coaching Blog in the world by Feedspot. Similarly, his Leadership Blog is recognized as one of the best in the world. The Sri Lanka institute of Marketing (SLIM), with a presence of nearly 50 years in Sri Lanka, has been adding value to the nation’s prospering development agenda. Providing professional training and qualifications for prosperous Marketing careers, the renowned National Body for Marketing has always been committed to exposing the local Marketing Fraternity to local and global opportunities for growth and development.